Oracle Database is a database management system produced and marketed by Oracle Corporation. Oracle Database software have been translated into more than 60 languages. The Oracle Backup plug-in allows protecting data stored and used by Oracle database, without stopping the service. Before using Oracle plug-in you must configure the Oracle database engine first, and then add a specific user in a ORA_DBA group allowing him or her to run Oracle backup and restoration procedures. If you have already configured the plug-in, please refer to the next chapter. In order to make "hot backups" without stopping an Oracle engine, it is necessary first to enable the ARCHIVELOG mode. If the database runs in the NOARCHIVELOG mode, then it will backed up in "cold" mode only (after stopping it). First, install Workstation Agent on the computer with Oracle database. Add the user account under which the Workstation will be launched to the ORA_DBA group. Backups of local database can be created with any edition that has the Oracle plug-in available. The user account under which the program runs must have membership of the ORA_DBA group. Make sure that you have Oracle installed on your PC. 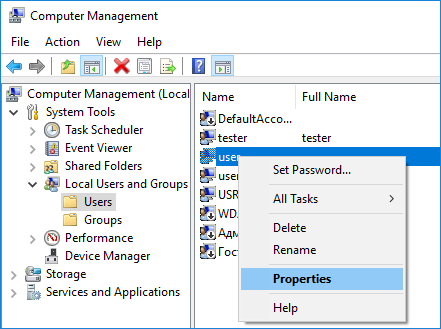 On the Windows Start menu, right click Computer, and then click Manage. The Computer Management dialog opens. In the left pane, expand System Tools, then expand Local Users and Groups, and then click Users. In the right pane, right-click the desired user account, and then click Properties. The User Properties dialog opens. Under the Member Of tab, click Add. 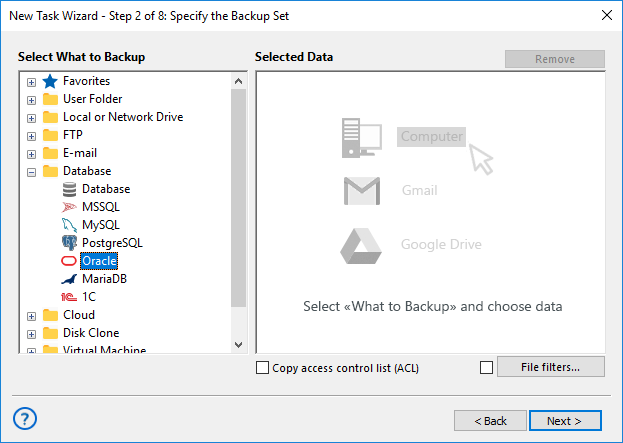 In the bottom pane, select ORA_DBA, and then click OK.
After an Oracle engine has tuned properly, you can easily make backup or restoration tasks using Oracle databases as target data type. Select Oracle option in the Database group on Step 2 of New Task Wizard. Click on Oracle plug-in name. If you still have no Oracle connection, click onto Create a connection string. 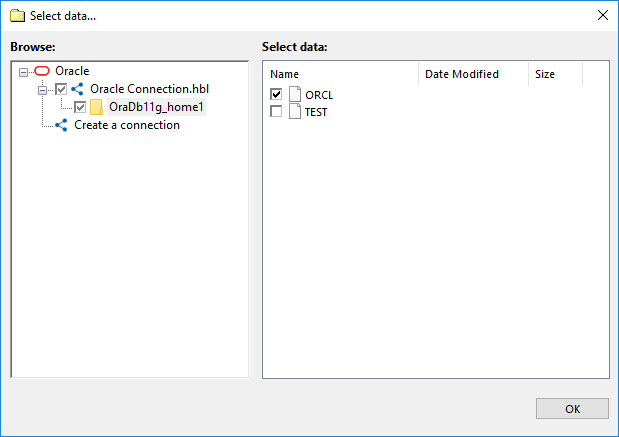 In the connection setup dialog, provide all parameters to access an Oracle server. Click on a chosen connection name. 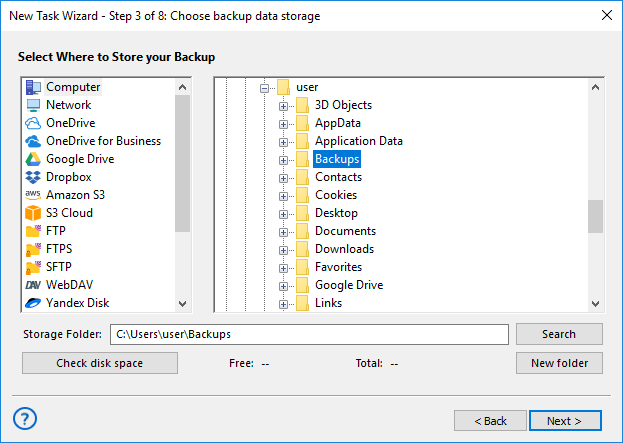 In a data selection dialog, mark checkboxes against Oracle data that you plan to back up. Set up all other task parameters and click OK. Your backup is ready.